I’ve never scored a storage unit at auction, but over the holiday weekend, at Maxwell Street Days in Cedarburg, Wisconsin, I met a guy who did. 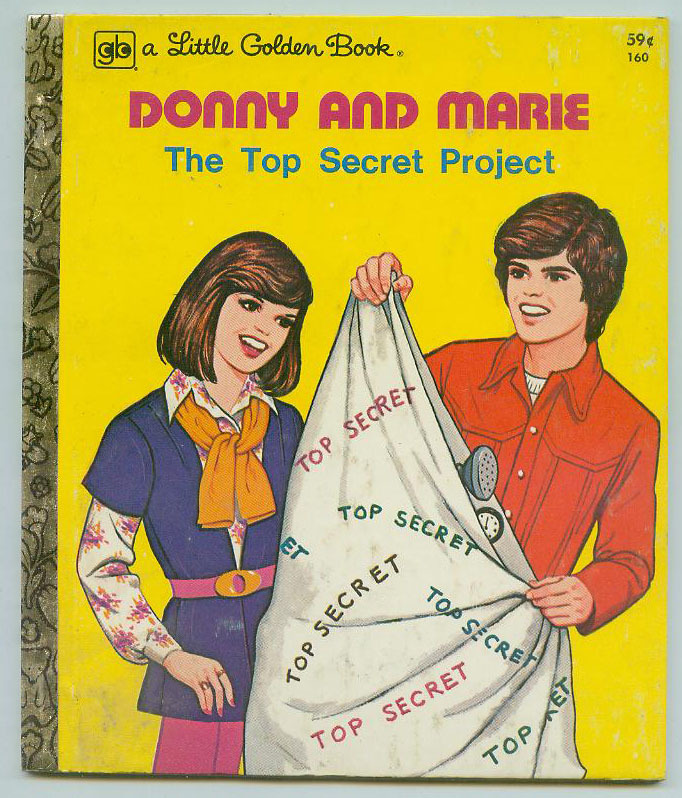 He ended up buying a storage unit that had once belonged to Western Publishing, and in it was the sweet stuff of a 1970s childhood… Among the items I purchased from him these great Donny & Marie show collectibles, each copyright 1977, Osbro Productions Inc.
Donny and Marie: The Top Secret Project, by Laura French, illustrated by Jan Neely, a Little Golden Book (number 160). 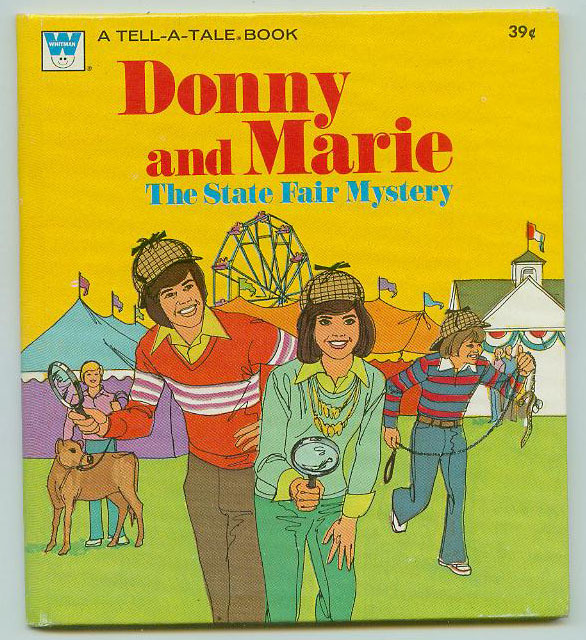 Donny and Marie: The State Fair Mystery, a Whitman Tell-A-Tale Book (number 2635), story by Eileen Daly, pictures by Olindo Giacomini. 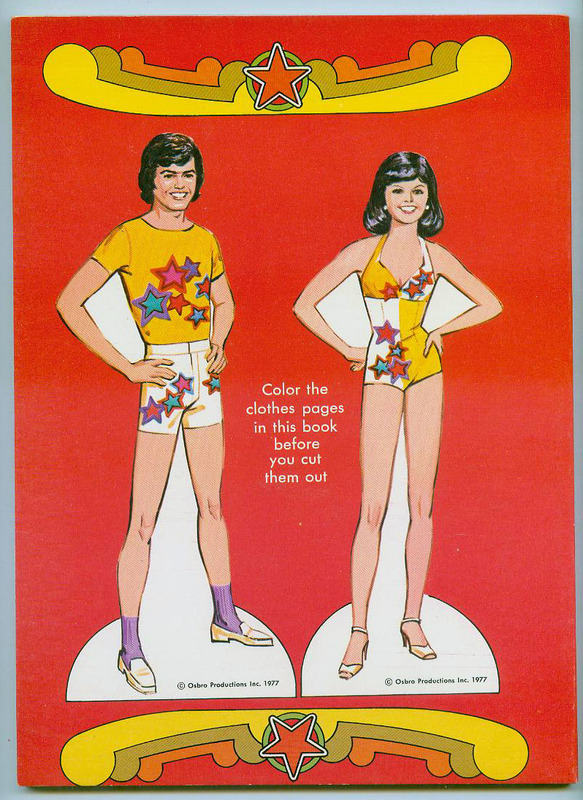 Donny & Marie, a Whitman coloring book or “color book” (number 1641) with paper dolls to cut-out on the back. 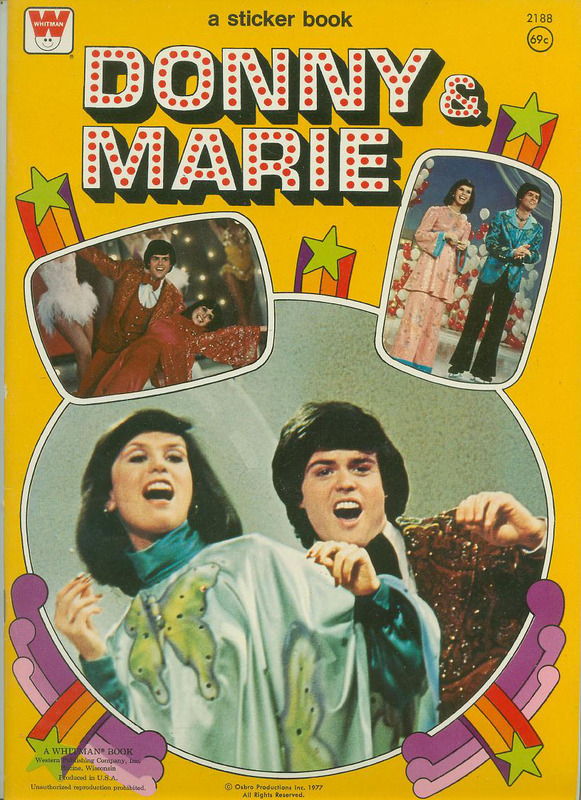 Inside, there are pages of clothes to color and then put on the paper-doll Donny and Marie. 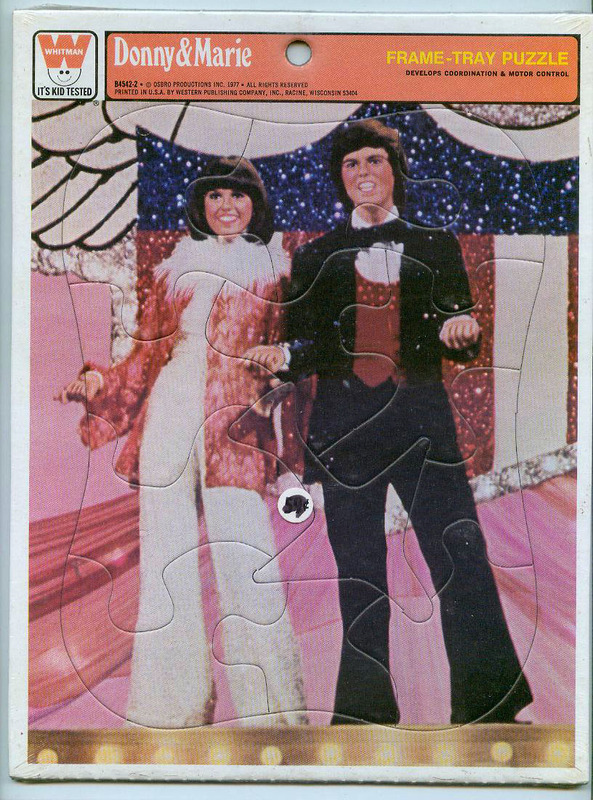 Donny & Marie, a sticker book, Whitman number 2188. There are photos on the cover, but inside, the stickers and pages you stick them on are illustrations. 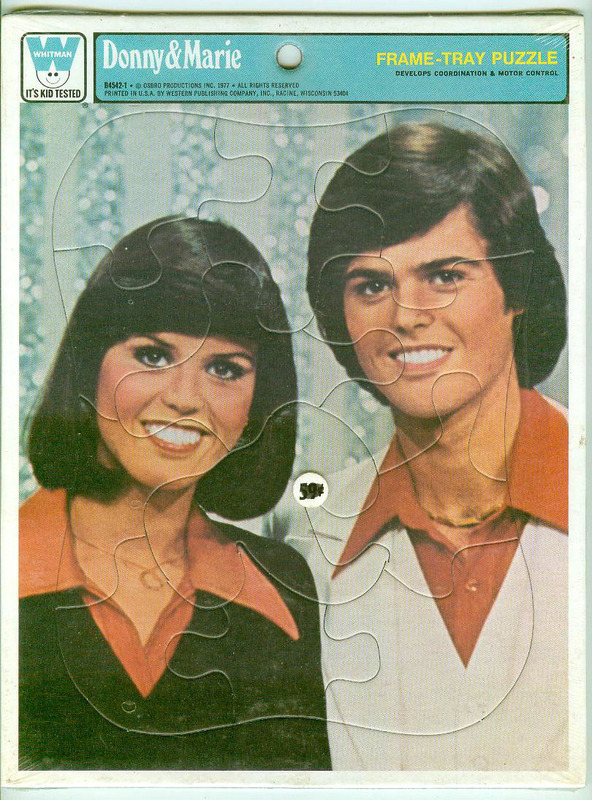 Two Whitman Frame-Tray Puzzles (B4542-1 and B4542-2), each with a different photo of Donny and Marie Osmond. 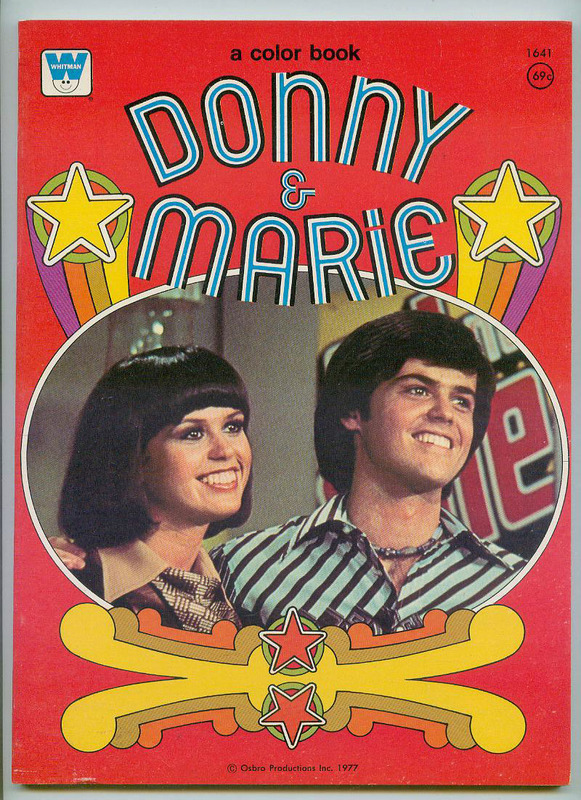 Each in its original factory-sealed plastic covering. Each item is new, never used, as minty-fresh as you’d find on store shelves back in the day! I’m saving one of each for my collection, and selling some too — to bring joy to others.